We hark back to Halloween Week now to revisit the sinister subject matter of our holiday competition. In Millennium's "Thirteen Years Later," method actor turned madman Marc Bianco adopts the identities of a half-dozen killers from classic slasher films. Inspired by this entertaining identity crisis as well as the irreverent spirit of the Halloween season, Back to Frank Black asked you: which famous fictional killer from film or television would you most like to be and why? "Riddick is the ultimate human predator and the ultimate hunter of man... No prison can hold Riddick, at least not forever. He will, inevitably, escape... He is, by far, the most dangerous man in the universe and one of the most badass fictional characters ever created. But he retains just enough of his humanity that I can respect him. In such a harsh and unforgiving universe, Riddick can't be blamed for becoming the man that he is. I think that on some level, we can all relate." 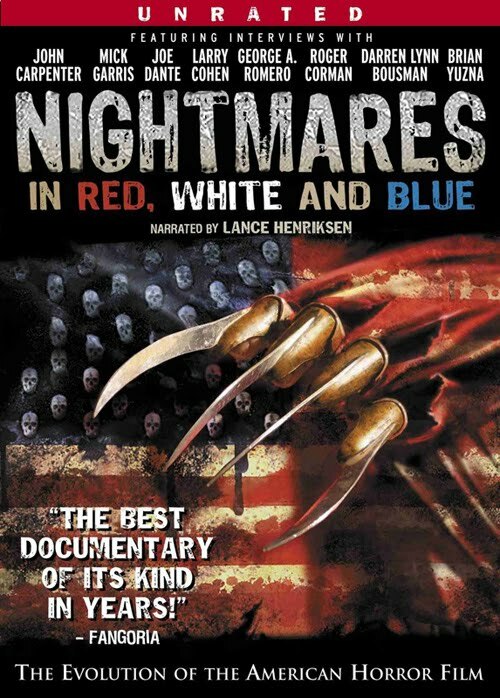 With his answer Gregg has won himself a copy of Nightmares in Red, White, and Blue (2009) signed by both Joe Maddrey and Lance Henriksen! Congratulations, Gregg! And a hearty Back to Frank Black thank you goes out to all those who participated in this particular competition. It was a pleasure to share a somewhat chilling glimpse at your own personal dark side. 2 Responses to "Halloween Week Competition: The Winner"
I had fun participating. :) And as a fan of the horror genre, I'm really looking forward to seeing this. I hope you guys keep having great contests like this. I'm glad to hear it, Gregg. Congratulations once again. 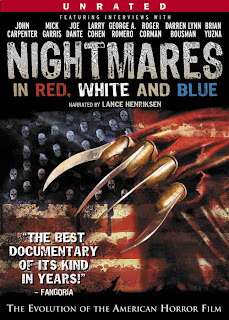 I'm sure you're going to enjoy Nightmares in Red, White, and Blue. It's a wonderful documentary--and with lots of Lance Henriksen! Who could ask for more? Given how much we enjoy hosting competitions like this and seeing creative entries submitted by fans, you can count on Back to Frank Black to continue hosting unique competitions like this. As always, stay tuned! Future Back to Frank Black Staffer? Re-release: Sarah Jane Redmond Interview! Adam and the B2FB WorldWide Fan Project!